London turned out in force for Day 1a of GUKPT London, Leg 1 of the 11th season of the popular tour. There were 161 entries yesterday and leading the remaining 57 players is Chi Zhang who bagged up 175,500. He is just ahead of British pro Simon Deadman (pictured) who has 165,000. Zhang forged ahead after winning a monster hand during the last hand of the night. Deadman, currently ranked #30 in the UK all-time money list, came close to winning a WSOP bracelet in 2015, but was beaten heads-up by Jason Mercier in the $5k NL six-handed event. 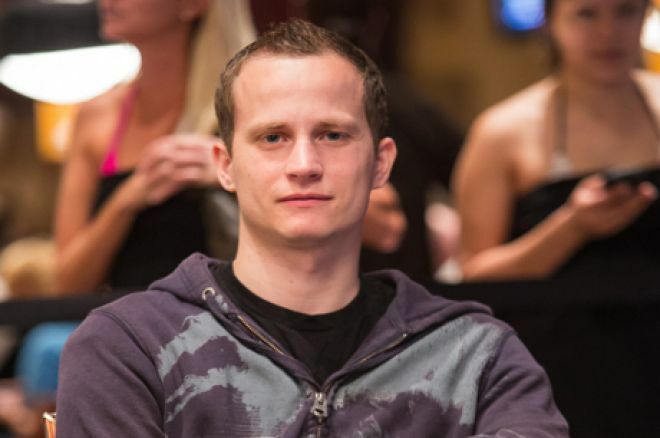 That $391,446 cash was his biggest to date but other big scores include victory in the Hollywood Poker Open for $351,097, a fourth place in the EPT11 Prague High Roller for €238,320 and runner-up in the EPT10 Deauville FPS High Roller for €238,320. Other big names through to Day 2 include Spanish #1 Adrian Mateo and Javier Zapatero. Day 1b of the £1,100 Main Event, which comes with a £200,000 guarantee, kicked off at 1pm today. Among those already in seats are MainEventTravel’s own Fraser MacIntyre and last year’s GUKPT London champion. Martin Hogarty beat a 394-entry field in 2016 to win £66,538. Other big names expccted to play today include sponsored pros Joe Beevers, Jeff Kimber and Katie Swift along with Andy “LogJam” Hills, who won the GUKPT Passport promotion after a run of amazing online results and a third place in the Salford 25/25. Hills now gets to play every leg of the 2017 GUKPT after snagging tournament buy-ins totaling £8,000. MainEventTravel.com still has plenty of great hotel options on offer for anyone planning to compete in the Main and, as the GUKPT’s Official Travel Partner, can help with your travel needs for the whole of the 2017 GUKPT tour. 2017 is the GUKPT’s 11th consecutive season and promises to provide another record breaking year with a packed schedule and staggering £1,800,000 in Main and Mini Main guarantees. There will be nine legs in total this year before the GUKPT Grand Final takes place at the Vic in London in November.